Italian design and communications studio JoeVelluto (also called JVLT) has designed a collection of cushions with two functions for Coincasa's spring/summer 2013 collection. 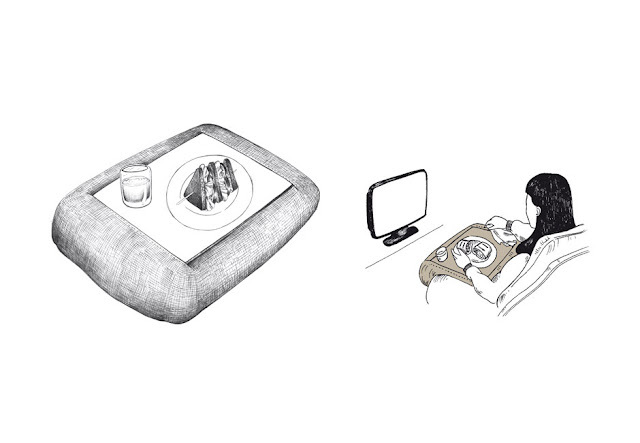 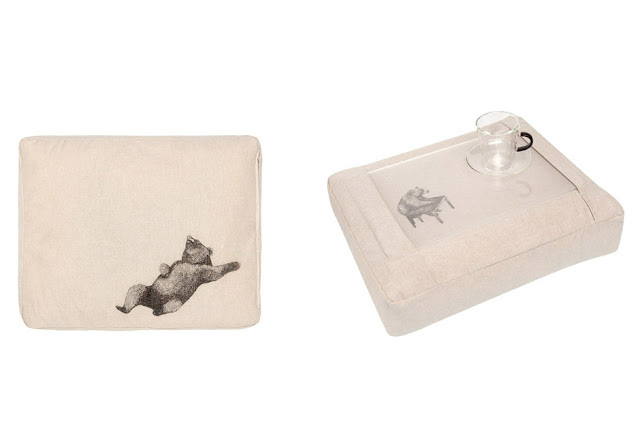 The Bear is a cushion with a handy support for a cup, plate, glass, pens or paper, designed for use in front of the TV. 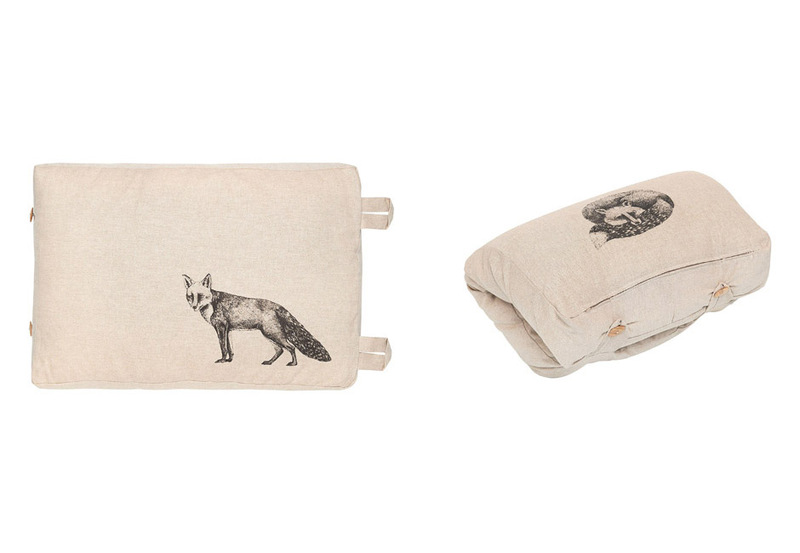 The Fox is a cushion that can be rolled up to provide comfortable neck support. 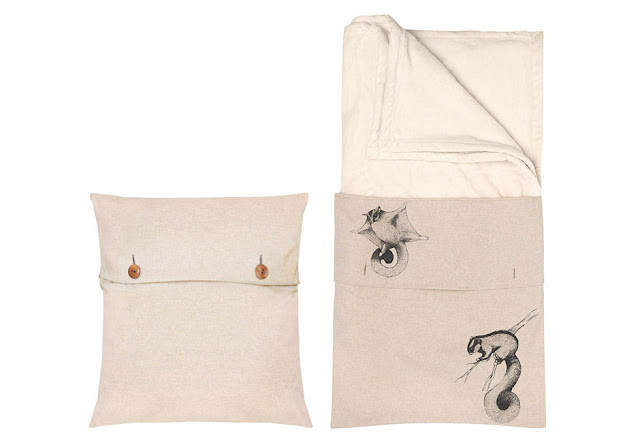 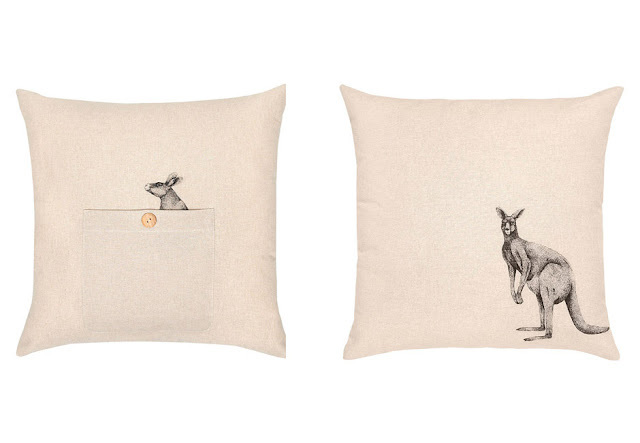 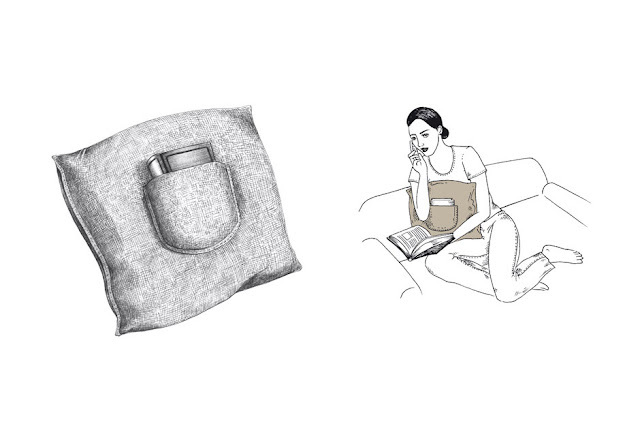 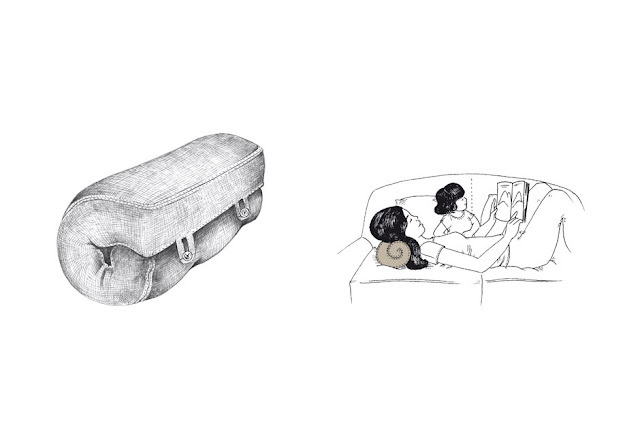 The Kangaroo, like its namesake, is a cushion with a handy storage pocket. 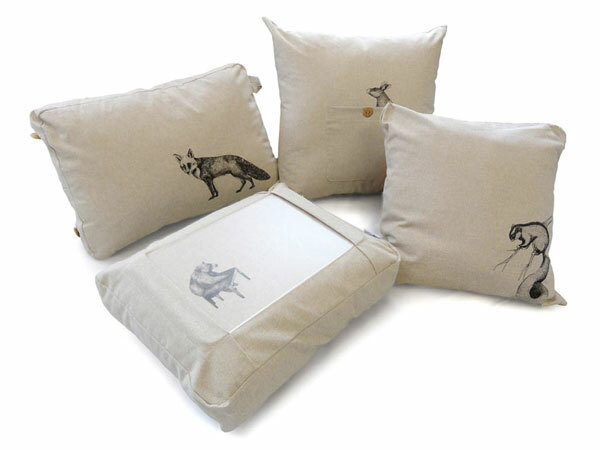 Finally, the Squirrel is a cushion with a built-in blanket.